Marrow is a collection of 28 flash stories. Ranging from a minuscule 13 words to a respectable 1,000, each of these stories is a fragment of something bigger – a hot core in the heart – a little piece of marrow. These tall tales feature fighter pilots and guinea pigs, wishing trees and wet weekends, untuned pianos, tattoos, voodoos, daydreams, inks and avocados. There are private eyes and talking poppets – lions and lemons – selkies and tsunamis. Around half the stories have been published by journals and websites including Gutter, Fractured West, Valve, Flashtag, Paragraph Planet, 1000 Words, Causeway, Smoke and The Dark Mountain Project, which is pretty cool. The other half are new and waiting for a reader exactly like you. Marrow has been reviewed here by Natalie Bowers and at the bottom of this blog post by David Hartley. Do you know when/where you are doing readings? Will look forward to picking up a copy in person if possible. Hi Cathy! Hoping to make it Manchester in the next couple of months, or possibly Lancaster Spotlight….? Well I’ll keep my eye out then. They’re both about the same distance from me in practical terms. I’m guessing Lancaster might be easier for parking. If I can’t make it, I’ll order online. Congrats. 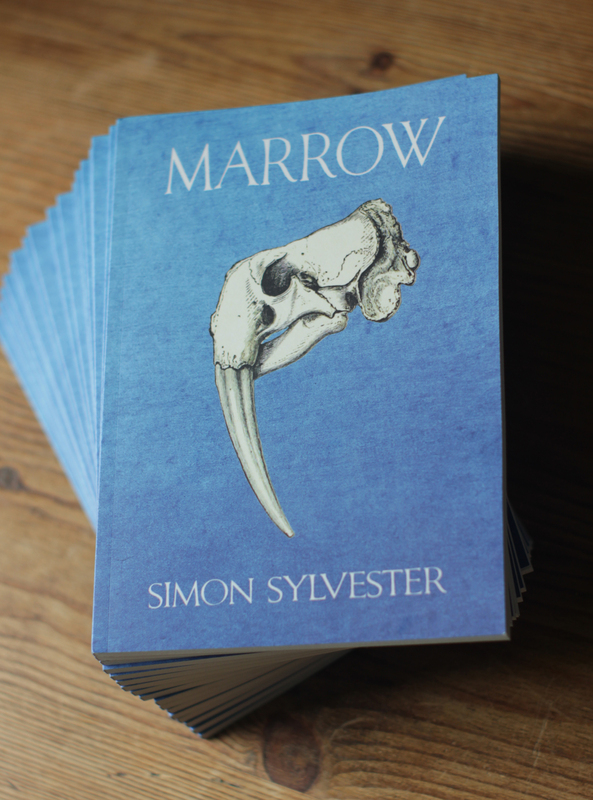 Why can’t I get a copy of Marrow? Hi Sean. I only printed 100 copies, and 90 of them have sold. I’m keeping the last ten back for a future project I have in mind, but otherwise, they’re gone!